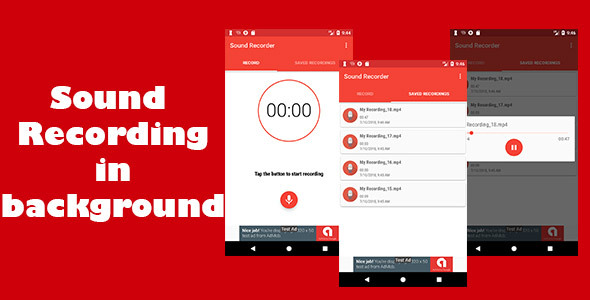 Sound Recorder is a handy tool for recording meetings, music, talks, classes, voice notes, and anything else via your smartphone. For monetizing the app, AdMob code is built into it. The app is built on the new Android Studio with Google material design implementation, and categorized data. Delete your recording right from the app. This entry was posted in android, audio-video, mobile and tagged android, app, application, audio, audio recorder, mic, microphone, mobile, pause, recorder, recording, sound, voice, voice recorder by dadmin. Bookmark the permalink.